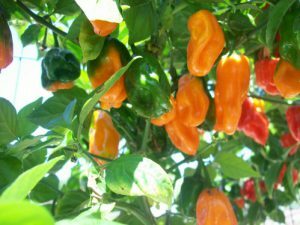 Aji Fantasy-(Capsicum bacattum)-The Aji Fantasy is a variety developed over 5 years by my friend Jukka in Finland. It is a protected patented variety in EU countries. It it has a sweet tangy flavor. Some would say it tastes like a sweet tart candy! 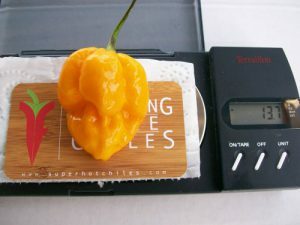 the heat level is mild and they are so delicious that you could fry them in some oil and eat them as an appetizer! 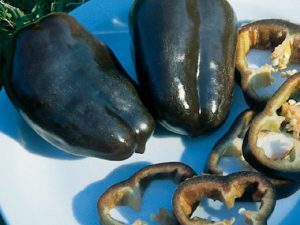 They would also make a nice tasty sauce or salsa! 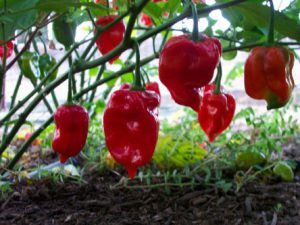 The Aji Fantasy chile plants grow over 4 feet tall and are very productive! 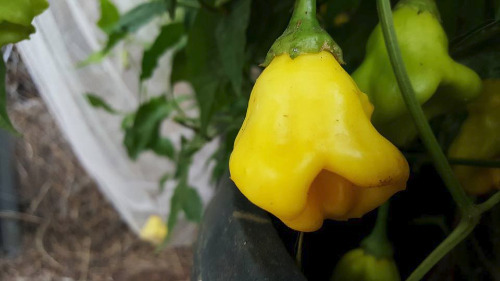 The peppers are shaped like little hats and have a light yellow color when fully ripened.